Our team is our greatest asset. We are dedicated and motivated with one primary goal -- your utmost comfort! We feel it’s important that you understand the treatment that you’ll be receiving so that you can relax during the procedure. Our staff is eager to answer any questions regarding your dental care. Please feel free to share with us your needs and concerns. Dr. Zitofsky completed his Undergraduate Studies at Emory University in 1999. He then attended Stony Brook University School of Dental Medicine where he graduated with a Doctorate of Dental Surgery Degree in 2004, and was bestowed the prestigious Award of Excellence in Operative Dentistry. 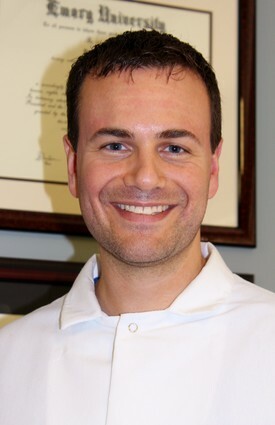 Following Dental School, Dr. Zitofsky decided to continue his education by completing an Advanced Education in General Dentistry Residency at the University of Florida College of Dentistry which he completed in 2005. In 2017, Dr. Zitofsky completed his fellowship in the International Dental Implant Association followed by missionary work in the Dominican Republic. Dr. Zitofsky has been board certified by the Northeastern Board of Dental Examiners. Dr. Zitofsky has been trained in Basic Life Support. Dr. Zitofsky supports organized dentistry and is a member of the American Dental Association, the Academy of General Dentistry, the New York Dental Association, the 4th District Dental Society, the Southern Saratoga County Chamber of Commerce and the Spear Study Club. When not practicing Dentistry, Dr. Zitofsky enjoys spending time with his wife and two children.